Or, “Walk me through the steps you would take if a UFO landed in your backyard.” And yes, these types of questions are relatively common. Many companies love to ask seemingly random questions to glimpse a candidate’s creativity and problem-solving skills. Then, there’s the inevitable barrage of behavioural questions: “Tell me about a time you had an interpersonal conflict with a co-worker.” Sure – I’d just love to get into the nitty-gritty of the 3-month cold war I had with Olivia from marketing. Situation + Learn + Develop AND speak in simple terms. Answer: I was responsible for public relations. This involved writing press releases and dealing with requests from journalists (situation). In that role, a key thing I learned was that journalists want you to know their specific publication well, and to only send them press releases that are relevant and tailored (learn). I intend to make the most of this knowledge by segmenting media databases based on publication type and improving media relations by demonstrating that I know the titles well (develop). See what happened there? Instead of giving the interviewer a vanilla answer about your job duties (which they already read about on your resume), you demonstrated an ability to learn, upskill and add value. Let’s look at another one. Answer: When I was working at Smith PR, we had a big event planned for the launch of our new product. But my assistant had forgotten to book the audio system, so we had no sound for the presentation. While we were waiting for sound to be set up, I announced to our guests that employees would be roaming the room and taking any questions. I had all available employees walk around and chat to people until the sound was set up. This kept our guests happy and the rest of the evening was a success (situation). From this situation, I learned two main things. 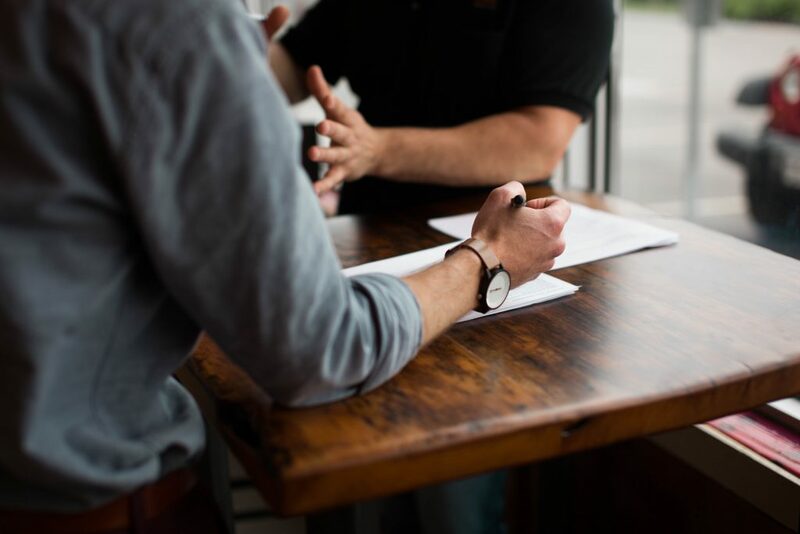 Firstly, that it is my responsibility to check with subordinates that jobs have been completed, and, secondly, that guests enjoy and appreciate the opportunity to have an informal chat with employees about a new product (learn). Moving forward, I’m going to check that the people I am responsible for have done their work, and I’d like to design more events with an opportunity for guests to mingle and chat informally with our entire team (develop). See how in this case you’ve turned the tables on a mistake and used the opportunity to demonstrate what an awesome employee you are? Ok, now for the second part of this two-pronged tip: When you are answering questions in this way, USE AS FEW WORDS AS POSSIBLE. That’s right, answer the question using the clearest and basic language you can. This can seem counterintuitive. People often think that you should use big words and long sentences to impress people, but actually, the opposite is true. “So often, our intuitions about what will impress others are wrong,” says Daniel M. Oppenheimer, professor of psychology at the UCLA Anderson School of Management. In a series of studies on how the use of language can make one appear more or less intelligent, Oppenheimer found that the ease of processing information is strongly associated with positive qualities, including likeability and intelligence. In other words, the easier it is to understand what you’re saying, the more likely it is that people will judge you as intelligent and likeable. Word choice does impact how you are perceived by your interviewer, and you should strive for clarity for the best results. Now, put these two strategies together and you have a killer approach to every interview question. If you’re using the 3 step answer process, then you’re already covering your bases with a structured, long-enough answer. By applying the keep-it-short-and-clear rule, you’re ensuring that your three steps will always make sense and be easily understood. It will stop you from rambling on about things that happened in the past and it will force you to be direct about what you have learnt and how you will continue to grow and improve. And that’s what all interviewers want to hear. Pro Tip: Brainstorm a list of likely questions and your short, clear, three-step answers. By doing this you will get into the habit of answering questions like this. Plus, you’ll probably anticipate some of the questions they’ll actually ask you. Many questions are posed in a few different ways, so you can even tailor some of your pre-prepared answers to questions on the day. Want more interview tips? Check out our article on The 5 Interview Questions You Must Prepare For. Keen to suss out what jobs are around? Start a new search here.